In my conversations with people around the internet since the Paris terrorist attack, it’s become increasingly clear to me that many people have a dramatically inflated understanding of the military strength and capabilities of the so-called Islamic State. So today I’d like to make it clear just how weak these people are, and how easy it would be for the surrounding Muslim states to destroy this organization even if the United States played only a minor logistical role. 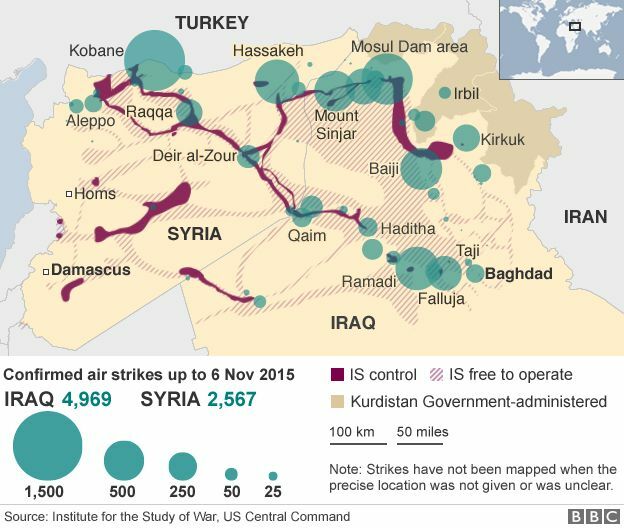 The CIA estimates that the Islamic State has 20 to 30 thousand fighters. Russia puts the figure at 70 thousand. The Islamic State itself claims the number is higher, but they should not be believed–creating the perception that they are strong is both an essential recruiting tool for them and a means to spread fear in our societies. Financially, the Islamic State raised $1.22 billion in 2014. It will likely take in less revenue this year for several reasons–the oil glut, the US & Russian bombing campaigns, and exhausting the ability of the local people to pay. Nevertheless, to show just how weak the Islamic State is, I will deliberately overestimate its income for this year and assume that the Islamic State has a full $1.22 billion to spend on military operations. The Syrian army struggles to deal with the Islamic State because it is bogged down in a prolonged civil war with a variety of other rebel groups. The Iraqi army should have dealt with the Islamic State easily, but under Prime Minister Nouri al-Maliki it became a paper tiger with extraordinarily poor training and organization. For this reason, much larger numbers of Iraqi troops routinely fled in panic from tiny numbers of Islamic State soldiers. This is a direct consequence of the Iraq War–the Iraqi army under Saddam Hussein would never have permitted the Islamic State to hold any territory in Iraq. Nevertheless, if we look at Saudi Arabia, Egypt, Turkey, and Iran, any one of these countries has the manpower required to single-handily defeat the Islamic State alone and unaided. In a coalition, any group of these would make short work of IS even without western support. 97% of the men under arms in the Middle East belong to someone who isn’t the Islamic State, and this doesn’t even include non-state rebel and paramilitary organizations like the Free Syrian Army or Al-Nusra Front, nearly all of which are hostile to IS. So why don’t these far more powerful Middle Eastern countries take care of the Islamic State? In short, they know that if they sit back and do nothing, the Islamic State will behead westerners on TV or commit terrorist attacks in western cities, and eventually western states will take the bait and militarily intervene to eradicate IS. They are passing the buck to us so that they do not have to put their soldiers and money on the line. This is entirely understandable–what country wouldn’t want someone else to fight its wars for it? The Middle Eastern countries want us to believe that they are weak, that they can’t handle the problem, because if we believe that we’ll take care of it. The truth is that they could handle it very easily, but they will only do so if it becomes clear that they have no choice, that we are not going to go over there and spend billions or trillions of dollars invading and occupying Syria, Iraq, or both. If we go in, not only do we end up paying the cost in human lives and money that rightfully belongs to the regional stakeholders, we are also stuck trying to impose political systems of our choosing on societies where those systems are not grounded in sustainable fundamentals. In the past, we have either left a power vacuum (e.g. Libya post-2011) or imposed a regime that is viewed as a western puppet and consequently doesn’t enjoy legitimacy or a sustainable level of public support (e.g. Iraq in the 00’s, Iran under the Shah, etc.). To prop that regime up, we are forced either to maintain an occupation (e.g. Afghanistan) or funnel endless billions in military aid (e.g. Egypt, Pakistan). Unsupported by its own people, the regime is forced to oppress them to stay in power. If it depends on the people it’s oppressing to fund that oppression, the result is insurrection and overthrow. So either we fund the oppression or the oppressive regime falls apart, yielding a new power vacuum which often leads to the country becoming a new safe haven for terrorism (e.g. Yemen, Libya, Syria, Iraq, Afghanistan). Generally we eventually get disgusted by the scale of oppression and violence the regime inflicts and withdraw support. When instability follows, we convince ourselves that only we can fix the situation with yet another intervention and another new regime. The only way to stop this is to stay out and force the peoples of the Middle East to take collective responsibility for the way they are governed. Governments in the Middle East must be legitimized and supported by their own populations, not by a western occupying force or by western military aid. The process of creating genuine Middle Eastern states that enjoy the support of their local populations will at times be a bloody and messy process. Borders may have to change, extant states may have to be partitioned. Sometimes people will choose governments that disgust us. But it is much cheaper in the long run to work with a government we don’t like that enjoys stability and popular support than it is to participate in the vicious cycle of intervention that can only create oppressive, despicable regimes that are universally despised and inevitably collapse. We have to stay out. We have to force the people in the region to confront their problems and deal with them. Anything else is the height of foolishness, it just perpetuates dependency, oppression, war, and death. The only way to fix the Middle East is to ignore the Middle East. Wise words re future strategy. Spoiler alert: the West will not listen. Some nefarious characters are making a lot of money from this terrorism festival. very interesting Benjamin. As I said in my email to you, I am extremely interested in foreign policy, and you touched on one of my favourite subjects here when you mentioned previous interventions. I find the history of Western intervention extremely interesting because , as Bernie Sanders mentioned in the debates yesterday, they are the most likely if not definitely the cause of hate towards the west in that region. One journalist who writes very well about this topic is Stephen Kinzer ( I mention him in my latest post). I have read his book Overthrow several times and I reckon you would enjoy it too. I actually had the privilege of listening to him speak at Brown University this summer. Great piece. How do you propose western country tries go about forcing middle eastern countries to take action? We need to make it clear that we are not going to be the buck catchers, that they cannot sit back and wait for us to solve the problem. 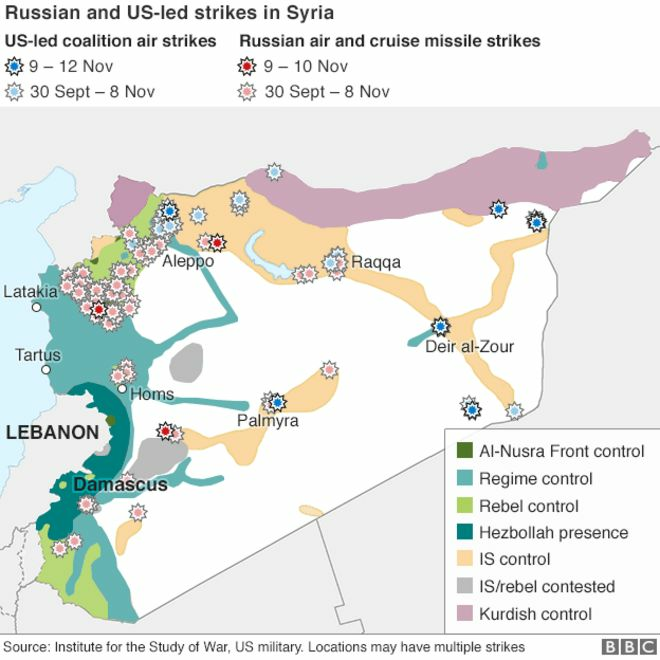 We should be focusing on facilitating a diplomatic solution to the Syrian Civil War to get a stable Syrian state (which ideally could provide the bulk of the military forces necessary to defeat IS), but otherwise we should limit our involvement to avoid signaling to Middle Eastern countries that they can wait for us to do everything. Saudia Arabia recently announced that it will make a new coalition that consists of only Islamic countries. The goal of this coalition is to fight terrorizm WITHOUT the help of westerners. They say we will take care of our own problems. So your analysis of why arabs are not attacking is wrong. The Saudis are trying to build this coalition not because they never wanted us to get involved, but because to this point we have refused to intervene in the way they would like us to and because we have indicated a willingness to work with Iran. Saudi Arabia would be happy for the west to intervene if it were confident that the west were going to push its agenda in Syria. By declining to do the Saudis’ work for them, we are forcing them to become more directly involved and make hard choices.